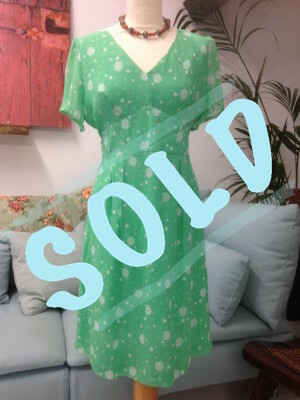 Dickins & Jones green silk dress with printed bird/circle design. Short sleeve, knee length and bow at back. Zip at back. Size 14. Dress is 100% silk.